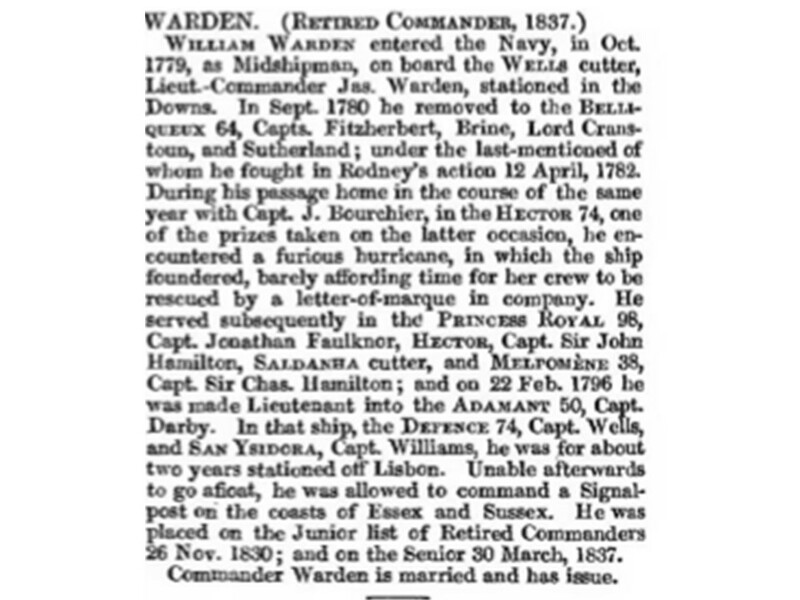 William Warden entered the Navy, in Oct. 1779, as Midshipman, on board the Wells cutter, Lieut.-Commander Jas. Warden, stationed in the Downs. In Sept. 1780 he removed to the Belliqueux 64, Capts. Fitzherbert, Brine, Lord Cranstoun, and Sutherland; under the last-mentioned of whom he fought in Rodney’s action 12 April, 1782. During his passage home in the course of the same year with Capt. J. Bourchier, in the Hector 74, one of the prizes taken on the latter occasion, he encountered a furious hurricane, in which the ship foundered, barely affording time for her crew to be rescued by a letter-of-marque in company. He served subsequently in the Princess Royal 98, Capt. Jonathan Faulknor, Hector, Capt. Sir John Hamilton, Saldanha cutter, and Melpomène 38, Capt. Sir Chas. Hamilton; and on 22 Feb. 1796 he was made Lieutenant into the Adamant 50, Capt. Darby. In that ship, the Defence 74, Capt. Wells, and San Ysidora, Capt. Williams, he was for about two years stationed off Lisbon. Unable afterwards to go afloat, he was allowed to command a Signal-post on the coasts of Essex and Sussex. He was placed on the Junior list of Retired Commanders 26 Nov. 1830; and on the Senior 30 March, 1837. Commander Warden is married and has issue. Jonathan Faulknor (fl. 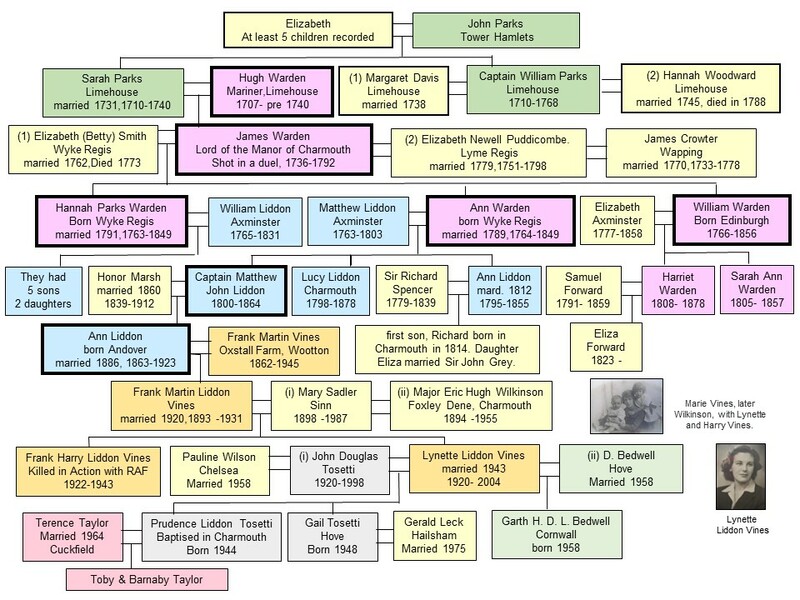 1744 – 24 June 1795) was an officer of the Royal Navy who served during the Seven Years' War, the American War of Independence, and the French Revolutionary Wars, in a career which spanned fifty years. The son of a distinguished naval officer, Jonathan Faulknor continued the family tradition and forged a career in the navy. He was made an officer prior to the Seven Years' War and commanded his first ships before it ended. His service was punctuated by periods without command of a ship, and times as captain of guardships. Nevertheless he was able to impress his superiors with his services, including his cool handling of a crisis when his ship ran aground off Cork. He was back in command of ships during the American War of Independence, and was flag captain to Admiral Keppel at the battle of Ushant in 1778. He captained several other ships during the war, relieving Gibraltar in 1782 with Howe and seeing action at the Battle of Cape Spartel. Promoted to flag rank after the war, he rose to be admiral of the blue before his death in 1795, during the French Revolutionary Wars, having only once hoisted his flag, during the period of the Spanish Armament in 1791. He took command of the 98-gun HMS Princess Royal in May 1782 and went out with Richard Howe, 1st Earl Howe's fleet to relieve Gibraltar. Faulknor saw action at the Battle of Cape Spartel on 20 October 1782, in which Princess Royal had one man killed. The fleet then returned to Britain, where Faulknor continued in command of Princess Royal while she was the Portsmouth guardship. He moved to the 74-gun HMS Triumph in 1785, still based at Portsmouth, and commanded her until April 1786. 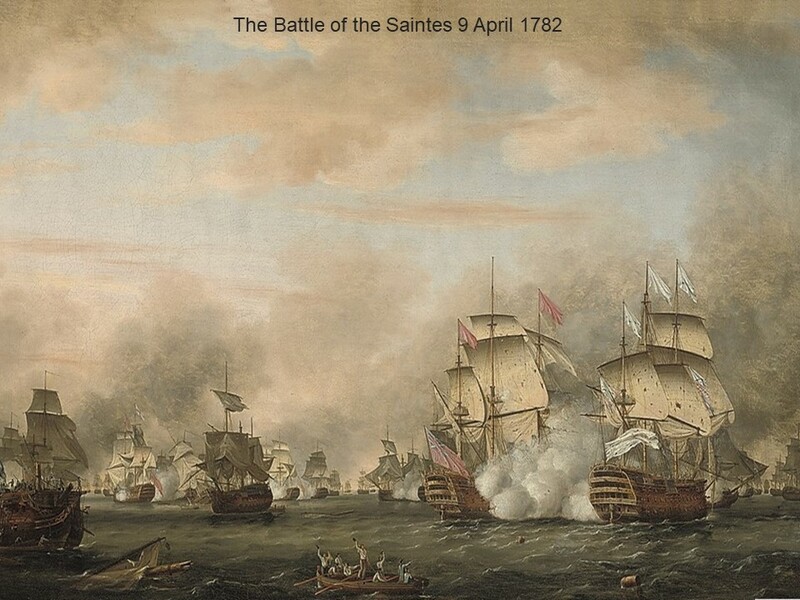 The Battle of the Saintes (known to the French as the Bataille de la Dominique), or Battle of Dominica, was an important naval battle in the Caribbean between the British and the French that took place 9 April 1782 – 12 April 1782, during the American Revolutionary War. The British fleet under Admiral Sir George Rodney defeated a French fleet under the Comte de Grasse, forcing the French and Spanish to abandon a planned invasion of Jamaica. The battle is named after the Saintes (or Saints), a group of islands between Guadeloupe and Dominica in the West Indies. The French fleet had the year before blockaded the British Army at Chesapeake Bay during the Siege of Yorktown and supported the eventual American victory in their revolution. 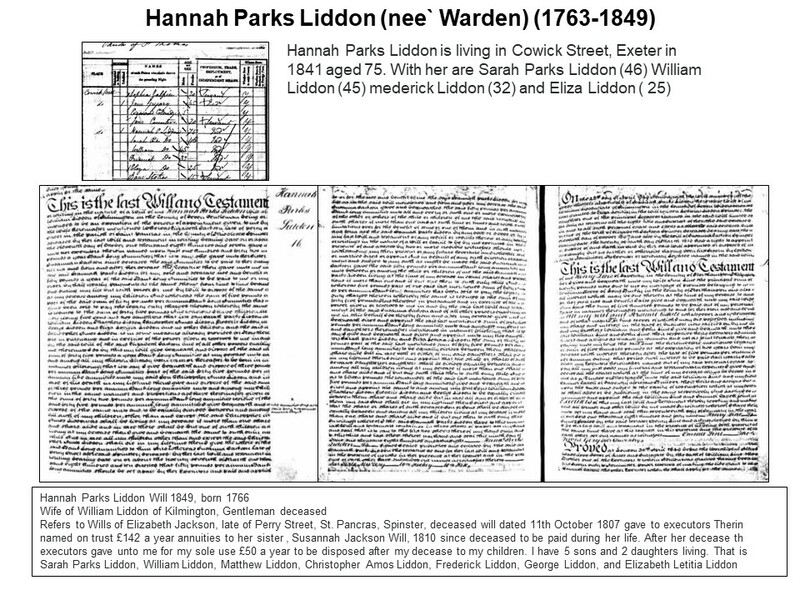 All three of James Warden`s children live to a good age - Hannah - 86, Ann - 85 and William - 90. No. 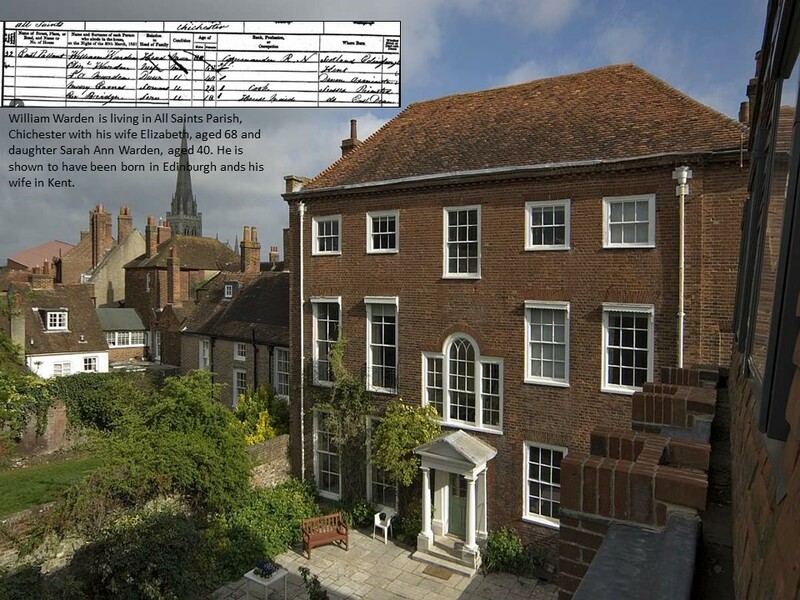 10 That as under a will, proved in 1792 (James Warden), this property is charged with an annuity of £20 payable to a gentleman (James Wardens son) now aged 86 years, the vendors shall not be required to procure a release or a discharge of the premises from the annuity, but the same shall be returned on a House, Garden and Field, called Guppy`s Tenement, containing 1 acre 17 perches, in the occupation of Matthew John Liddon Esq & Joseph Hodges, situate in Charmouth of the annual value of £30 or otherwise, for the purchaser shall accept the joint and several covenants of the Vendors for his indemnity against the said annuity, at the option of the vendors, and it shall not be required of the vendors to obtain any conveyance or reconveyance of any legal estate in reference to such annuity or the concurrence of any trustees or trustee in respect of any trust created more than 40 years before the date therof.